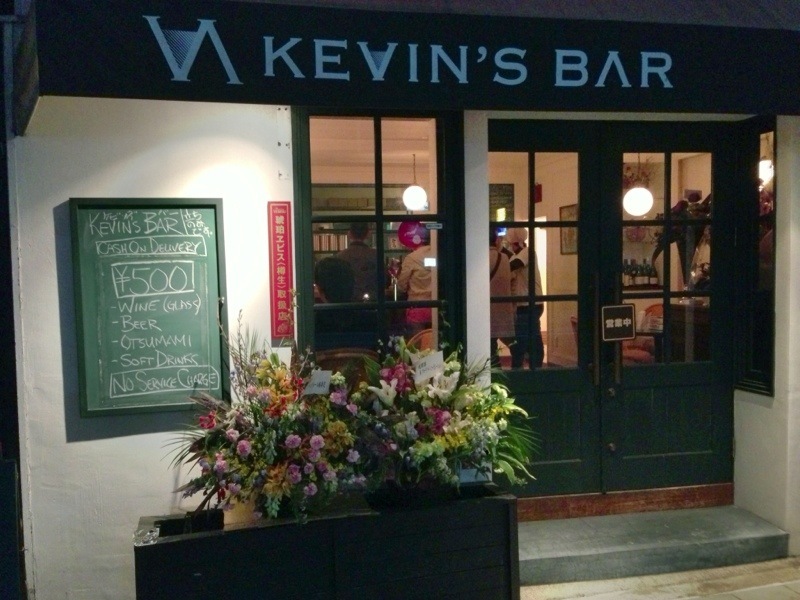 Kevin’s Bar is a “one coin” casual standing bar about two minutes walk from the north exit of Karuizawa Station. Glasses of wine and beer are 500 yen, which is one coin in Japanese currency. Please feel free to stop by anytime. I post regular updates at the Kevin’s Bar page on Facebook. BTW, Karuizawa is a gorgeous mountain area where John Lennon and Yoko Ono spent their summers together. It’s also where the current emperor of Japan met the empress playing tennis. Tokyo’s rich and famous converge on Karuizawa each year to escape the oppressive summer heat in the worlds largest metropolitan area. Here is a pic of the front of my bar. This entry was posted in Kevin's Bar and tagged ケビンズバー, ワイン, 軽井沢, Karuizawa, Kevin's Bar, Wine by kevinmeyerson. Bookmark the permalink. Thank you! Kevin’s Bar is a lot of fun 🙂 Please visit anytime! Regarding W.C. Nicol, I’ve known of him for over 20 years but never have had the honor to meet him. Very cool guy I hope to meet sometime in the future!